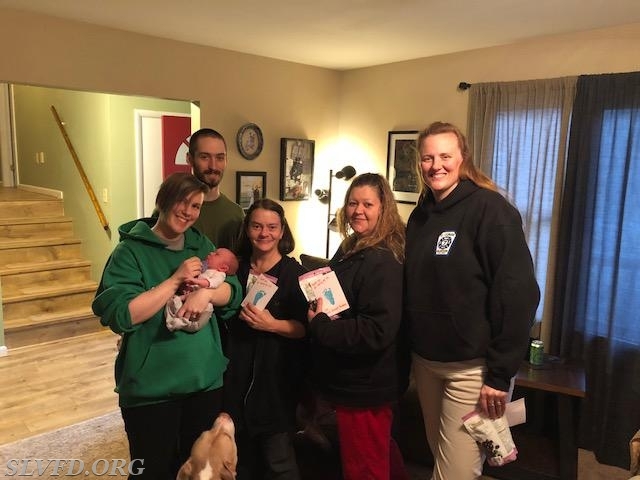 On Saturday March 17th (St. Patrick's Day) at approximately 2130hrs Co. 7 units were alerted to a residence in the 709 box for the OB patient with a prolapsed umbilical cord. Ambulance 78 staffed by EMT Stacy Schooley, Driver Dave Harris & Aid Robin Sikorski responded, As well as Deputy Chief EMS Michelle Weems & Chief Ricky Weems from home. Units arrived on the scene simultaneously and entered the residence to find a 37wk pregnant mom with 8" of prolapsed cord. Crews worked quickly to assure there was a strong pulse in the cord, and that mom was stable as well. Mom & baby were very carefully moved to the ambulance and very quickly transported to the hospital. 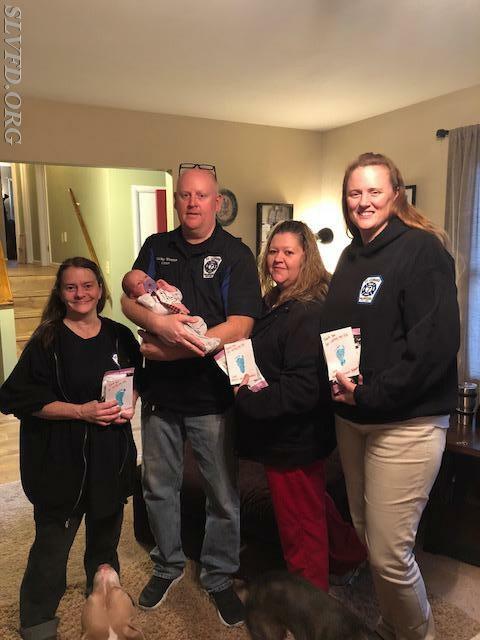 Upon arrival at Calvert Health Medical Center the patient(s) were taken directly to Labor and Delivery to a waiting OB physician and nursing staff. Physician confirmed fetal heart sounds, assessed the prolapsed cord and took the patient directly into the operating room for an Emergency C-Section delivery. At 2227hrs Patrick Michael Thompson entered the world. Per the delivering physician, he was born pulseless and blue with the cord around his neck. He was quickly revived and moved to the nursery. 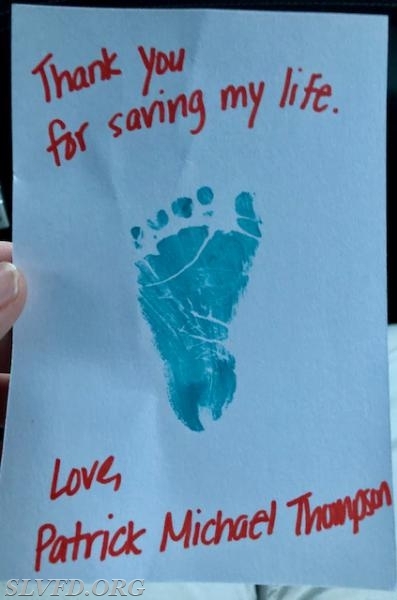 Baby was later transferred to Georgetown Hospital NICU, where he spent the next 5 days. On Thursday March 22nd, Patrick was released home with a clean bill of health. The delivering physician told mom at the 2wk check up, that had it not been for the swift and precision care of the EMS crew, that Patrick would not have survived. We are so happy to have been apart of this amazing story, and look forward to watching this little man grow.